... and whatever else is on your mind! 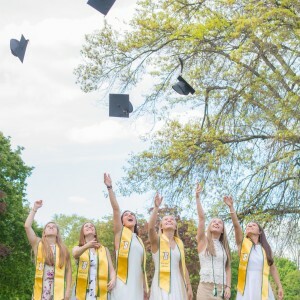 If you’re interested in Siena College but are concerned about cost, our financial aid staff wants you to know this: we’re committed to making Siena affordable and are here to help you and your family through the financial aid process. Sign up for this live video chat all about making college affordable and financial aid. Live from a first-year residence hall room, this chat is as real as it gets. Ask questions or just listen in as three Siena students talk openly about college life as a Saint. From Move-In Day and New Student Orientation to class schedules and roommate dynamics, they’ll cover the topics that are on your mind. These parents were in your shoes not long ago and are ready to share their experiences. They can't wait to answer your questions! Topics will include the college decision process, why their family chose Siena, what their Saint plans to do next and whatever else is on your mind. The student senate president, a resident assistant and an orientation leader walk into a....video chat! Get the inside scoop on the housing process, orientation, getting involved on campus and the rest of freshman year.